Golf, Casinos, Shopping, Fine Restaurants, etc. We are limited to 80 sites. please enclose a stamped, return addressed envelope. each afternoon before the evening balloon event. 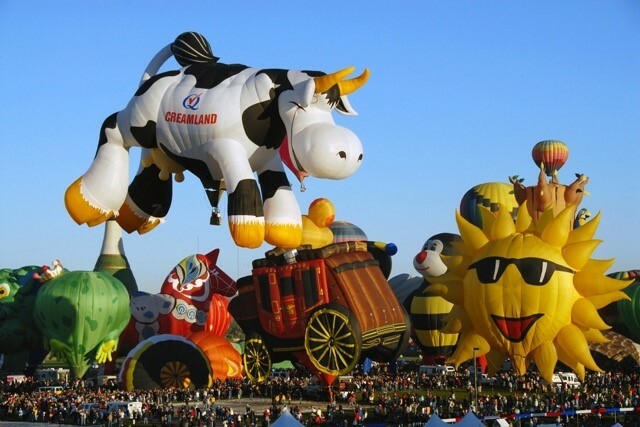 You can register for the 2019 Balloon festival either online (recommended) or via written application, which you can download and mail with your check. Click here to check out the Albuquerque official web site and see more of what you'll be a part of when attending the Monaco International Balloon Festival Rally.